Helicopter money may be on the horizon, but if Deutsche Bank has its way, there is at least one intermediate step. 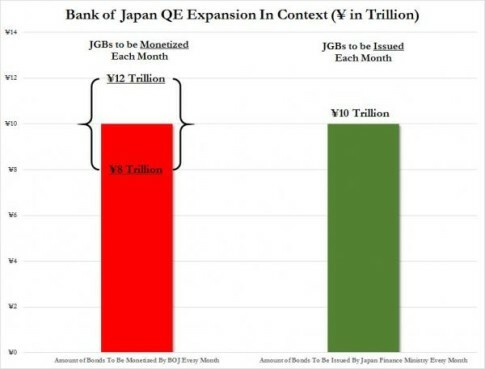 If there was a sign that nothing else matters but central bank largess, this was it. 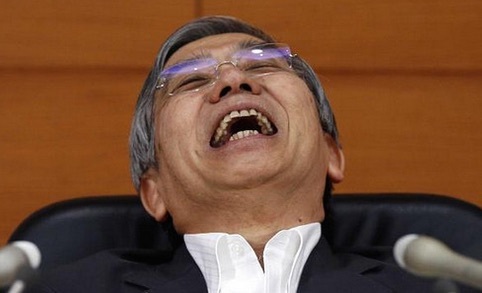 The moment The Bank of Japan statement hit and proclaims “unchanged” a vacuum hit USDJPY and Japanese stocks. Reflecting that Japan’s economy has “continued a moderate recovery trend” which is utter crap given the quintuple-dip recession, Kuroda and his cronies said they will “add easing if necessary” and apparently that is not now. Not so much as a higher ETF purchase or moar NIRP.. and the aftermath is carnage – NKY -1000 points and USDJPY crashed to a 108 handle! !